Enjoy panoramic views of Himalayan peaks – the Annapurna range. Nepal with the major touristic cities named Kathmandu, Pokhara, Chitwan, Palpa and Lumbini is enough to be explored within 11 days. 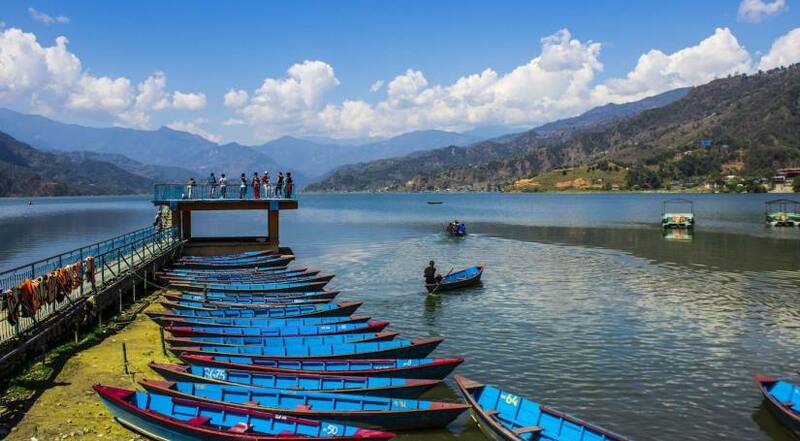 This tour offers us an astounding opportunity to explore major cities of Nepal and have a holistic insight of Neplai culture, religion, history, civilization and natural splendors. This is one of the most selling packages for Tour in Nepal as it encompasses most scenic places and major historical, cultural and religious cities of Nepal. Normally trip starts by exploring Kathmandu, then further toward Pokhara, next to Palpa and Lumbini and finally Chitwan. Exploring all five UNESCO heritage sites in Kathmandu, we will head to Chitwan National Park for enjoying wildlife activities in Sauraha, from where next destination will be Pokhara for encountering with natural sceneries like Annapurna Himalayan Range, Fewa Lake, Sunrise Sunset over the high Himalayas and retrace back to Kathmandu but same day head toward Nagarkot where next day will be Bhaktapur Durbar Square and final departure. With enough rooms for customization, this tour can be conducted on the suitable way to meet all the requirements and desire. After arriving in Kathmandu, a representative from Luxury Holidays Nepal will pick up from the airport and take to your hotel. In the afternoon, you may take a rest or visit Luxury Holidays Nepal’s office. At evening, we host a pre-trip meeting at your hotel in Kathmandu and introduce your tour guide. Please seek this opportunity to ask questions about your trip. This includes a final briefing and preparations for the trip. For the meeting, please make sure you bring your passport, one passport-size photo, and a readable copy of your travel insurance policy. During this meeting, please clear the due balance, if any.. Please inform us in advance if you will be arriving late and therefore are unable to attend the pre-trip meeting. After the pre-trip meeting, there will be a welcome dinner hosted by Luxury Holidays Nepal. For dinner, you will be served authentic Nepalese cuisine, which will introduce you to the country’s food culture. After breakfast, drive to Tansen, 130 km, 3-4 hour drive in Siddhartha Highway, you will get a chance to adore excellent scenery along the highway, check in & lunch, short briefing and start sight seeing tour of important places, view the sunset over Himalaya and overnight at Hotel. Morning Hike to Srinagar Hills, it will take about 30 minutes and back to the hotel for breakfast. After breakfast, you will drive to Lumbini: the birthplace of Lord Budhha. After breakfast, your sightseeing trip will start. You will have a private vehicle and a professional tour guide at your disposal. You will visit the following UNESCO World Heritage Sites. Early in the morning, you will enjoy the sun as it rises from the mighty Himalayas. Next, you have breakfast then leave for Bhaktapur- the medievel city. First, we follow trail towards Changu Narayan, the oldest pagoda temple in the Kathmandu valley, and a UNESCO World Heritage Site. The route to Changu Narayan passes through small villages and farmlands with farmers working in their fields. Accommodation in Kathmandu (Hotel Mulberry or similar Category), and in Pokhara (Mount Kailash Resort or similar category), in Lumbini (Everest International Deluxe Hotel or similar category) and in Chitwan (Hotel seven star or similar) in twin sharing bed and breakfast basis. Luxurious private transportation throughout the trip. Lunch and Dinner while you are in Kathmandu, Palpa, Lumbini and Pokhara(Meal costs about 3 -7 dollars per item depending on the place where you eat). The Best of Nepal Tour by Luxury Holidays Nepal has a good mix of city & nature sightseeing and light hiking. Krishna is 100% responsive and very accommodative to our requests. We changed our transportation to private car and also added a trip to Nagarkot to see the view of sunrise and sunset, and we also did the highly recommended mountain flight to see the spectacular view of Mt. Everest. Special thanks to our driver, Kiran, who handles the busy traffic easily. We feel secure with their team. Our local guide, Krishna, took us around Pokhara, we had much fun time and he even helped us to carry our backpack on our way up to the World Peace Stupa, Pokhara. The accommodation in general was fantastic with good food and great room. Thank you Luxury Holidays Nepal for making our trip full of unforgettable memories! Luxury Holidays Nepal provides you 4 star hotels in Kathmandu (Hotel Mulberry or similar Category), and in Pokhara (Mount Kailash Resort or similar category), in Lumbini (Everest International Deluxe Hotel or similar category) and in Chitwan (Hotel seven star or similar). If you want the luxury accommodation of 5 star in Kathmandu then contact us for cost detail.